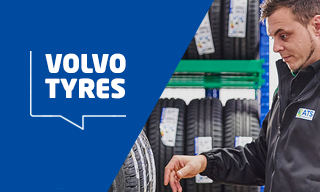 At ATS Euromaster we offer a wide variety of tyre patterns suitable for a range of models within the Volvo range, which require patterns that work at the top end of performance to deliver the handling the Swedish manufacturer's vehicles are known for. The tyres we provide for these models can be purchased online at competitive prices and fitted in one of the 330 centres we operate across the UK. 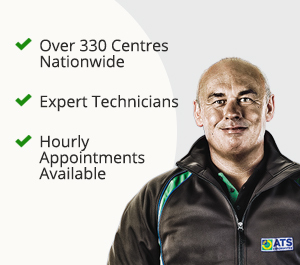 We also have mobile tyre fitters that can complete the work at a time and place that suits you. Volvo has worked with the world's leading tyre brands to create the compounds and patterns that can be fitted to its vehicles to give motorists the confidence of pushing their cars to the limits. The Volvo V50 is the estate version of the S40 and was originally introduced by the Swedish manufacturer in 2003. It comes factory fitted with either the Pirelli P6000 or Continental ContiSportContact 3 patterns, which provide the grip required to match the car's sharp handling. Drivers should also consider the wide range of alternatives on the market at the moment, including Michelin's Alpin A4, the Pirelli P Zero Rosso and the Avon ZV5. Avon's pattern provides outstanding grip in the wet and the dry, progressive, predictable handling and excellent performance under braking. The mid-size Volvo S40 saloon has proved to be a popular executive car since its launch, making tyre choice on the model absolutely crucial. Volvo has teamed up Continental to fit the ContiEcoContact3 as standard on the S40. Pirelli's P7 is efficient when driving on wet road surfaces and reliable in braking situations and on corners as well as offering optimum driving and ride comfort on long motorway journeys.